Whether there’s something wrong with your bathroom plumbing or you are looking to remodel your bathroom and need to move some pipes around, we will take the job and get it done in a way that leaves you satisfied and ready to call us the next time you need a plumber, too. 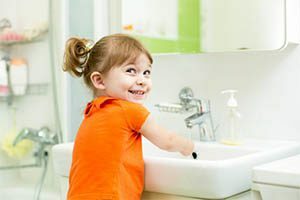 At Corley, we pride ourselves on being bathroom plumbing experts, and we want to show you why so many people in Greenville, SC call on us whenever they need a plumber. Our plumbers are all highly-trained and have experience dealing with all sorts of bathroom plumbing repairs. They have done everything from fixing leaky faucets to designing and installing complex plumbing solutions for top-of-the line facilities. They love to get to know new customers, so they will help you solve your problems with a smile. We offer comprehensive bathroom plumbing services. That means that, no matter what the problem is, you can call us and feel confident that we will come up with a solution that works for your home, your family, your budget, and more. Here are just a few of the more common bathroom plumbing services we provide in Greenville. Bathroom remodel consultations and installations. Whether you are redoing your whole bathroom or just installing some new pieces, we are here to help you get the bathroom you’ve always dreamed about. We’ll look at your space, work with any other contractors on your team, and make sure that the plumbing work is done on time and up to code, no matter what. Bathroom installations. Do you need a new sink, tub, shower head, or faucet installed? We’re here to not only get it in for you, but to help you choose one that’s right for you if you’re not exactly sure what you want. We’ll make sure everything gets ordered and delivered properly, and we’ll come get it in whenever it’s convenient for you. Bathroom repairs. No matter what is broken in your bathroom, we’ll fix it. We handle leaky faucets, leaks under your sink, faucets that spray water or have reduced water flow, toilets that overflow or run too much, cracked sinks, toilets, and tubs, and more. When we say that we handle everything, we mean it. There’s not a bathroom plumbing problem we haven’t seen, so we’re confident that we can get things running normally again for you quickly and efficiently. When you call Corley, one of our friendly representatives will connect you with a plumber who will come out at a convenient time for you. Our plumbers arrive on time and, if something unforeseen happens and they can’t, they always call and we’ll make alternate arrangements so you don’t sit at home waiting for several hours. Once they get to you, our plumbers like to listen to your description of the problem. Then, they’ll take a look for themselves. They’ll perform a comprehensive evaluation and let you know what needs to be done to get everything back to normal.